There is a reason why Dutch Passion has selected the name ‘Power Plant’ for the cannabis seeds of this type, as the ‘up high’ the smoker experiences with this species is truly spectacular. That high is largely owed to the THC content of approximately 15 percent. 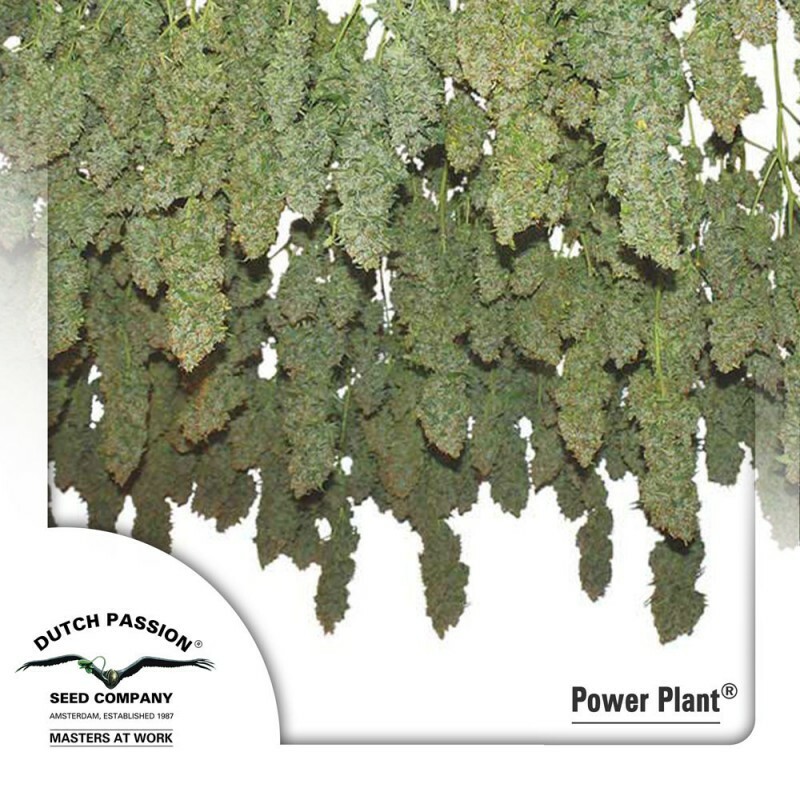 There is a reason why Dutch Passion has selected the name ‘Power Plant’ for the cannabis seeds of this type, as the ‘up high’ the smoker experiences with this species is truly spectacular. That high is largely owed to the THC content of approximately 15 percent. When you have visited a coffee shop in the past 20 years, you have undoubtedly been recommended the Power Plant. Especially for the user who wants a ‘smooth’ experience during smoking, the Power Plant is the ideal alternative. The aroma this plant radiates is spicy and pleasant. Top-notch sativa-dominance. Why go to the coffee shop when you can also grow the Power Plant yourself with the proper weed seeds? A rhetorical question because the cannabis seeds that are leading to the final result are already waiting for you. When the plant is cultivated it will reach a height between 1 and 1.5 metres. The result can be harvested after approximately 8 weeks.